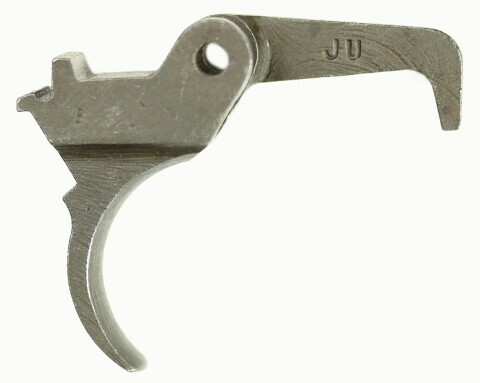 The design of the trigger initially approved for use with the M1 Carbine was altered slightly when it was found the sear occasionally remained in the rear position when the trigger was released. 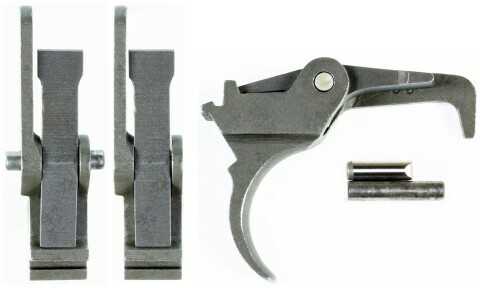 This required disassembly of the carbine to release the sear so the carbine would function. 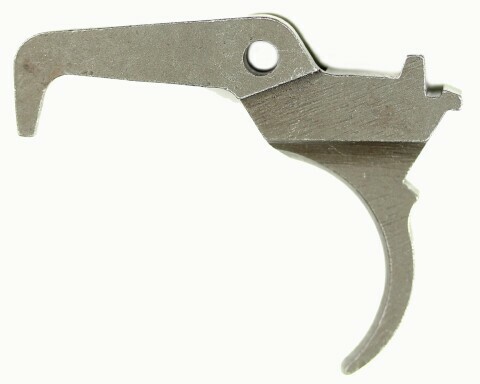 Carbine production using the early trigger (Type I) had already started at Inland, Winchester, Underwood, Rock-Ola and Quality Hardware when the problem was discovered and the design was changed. The angle of the front of the pedestal supporting the rear of the sear was increased producing the trigger used throughout the majority of production (Type II). U.S. Ordnance made the change retroactive by ordering all earlier triggers modified to the later design, though some survived as the carbines they were on were already in service. Recognizing the difference in the two designs is very difficult. Other authors have suggested measuring the distance from the face of the pedestal to the center of the trigger pin hole. I've found the easiest method is to repeatedly compare the pedestal on the left (above) to the one on the right. Repeated visual comparison of the two trains the brain to spot the difference when it's encountered elsewhere. 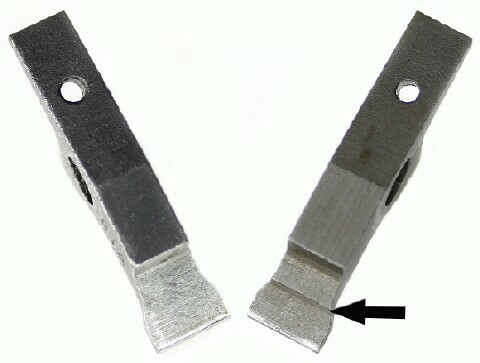 Note also the difference in the machining of the slot behind the pedestal that engages the trigger spring. If you locate a trigger with the earlier design it should be set aside as collectible and replaced if you intend to fire the carbine. 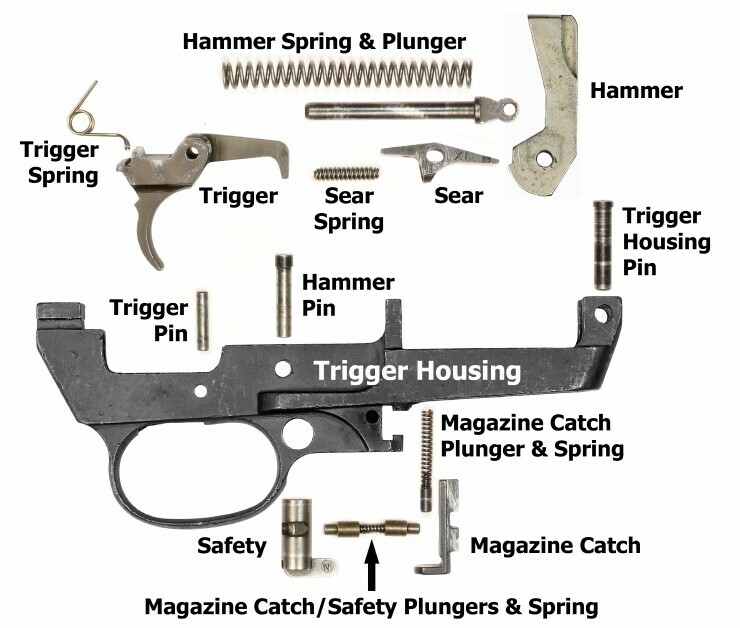 characteristics specific to the triggers manufactured on some of the tooling at this facility. several different methods of simplifying this task including the one shown below. 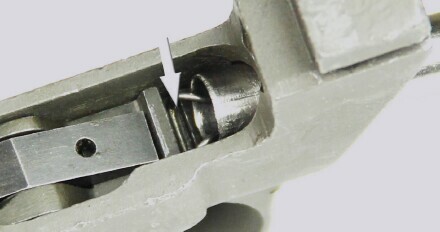 align the hole in the trigger housing with the shortened pin. Push out the shortened pin with the full size trigger pin. 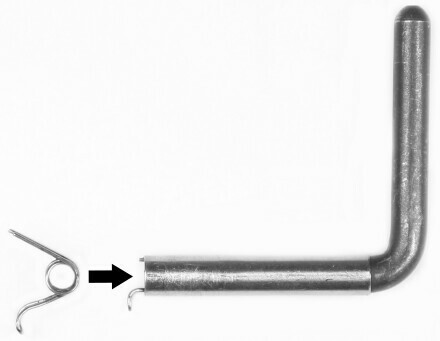 During WWII an L shaped tool was developed to assist in compressing the ends of the trigger spring to insert it into the trigger housing. larger than the original and manufactured post WWII. providing downward tension on the rear of the trigger. is the absence of a hole through the rear half of the sear above the sear spring. almost imperceptible and most type I sears have had the changes made. 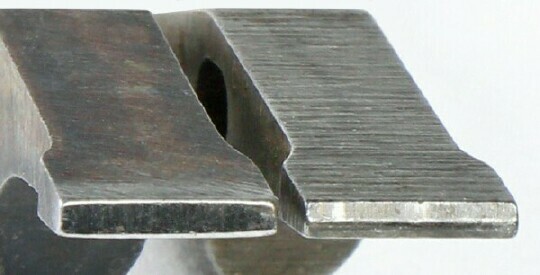 The nose of the sear (left) was ground to give it a small radius at the point it engages the rear of the hammer (right). The lower edge of the rear of the sear (left) was ground at a slight angle (right). by placement of a grind mark on top of the rear of the sear. The majority of Type I sears have been modified to include these changes and more often than not do not include the grind mark. the absence of the grind mark was no longer reliable in determining if the alteration had been done. (Ordnance Manual "TM 9-1276, Cal. .30 Carbines M1, M1A1, M2, M3", February 1953). These changes were incorporated into the manufacture of new sears producing the "Type II" sear. 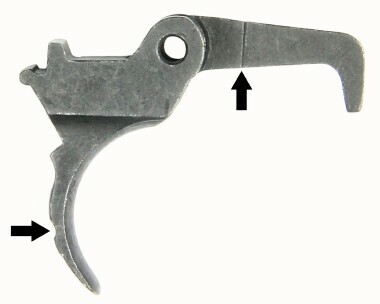 to automatic fire caused the Disconnector to push the sear downward below the hammer as the trigger was held to the rear enabling automatic fire. The M2 sear, while mandatory for automatic fire, was also used on semi-auto only carbines as an alternative to the earlier sears. Sears manufactured by Springfield Armory were absent the typical SA marking. They can be identified by a slight elevated ridge toward the front of the sear. 15 coils .655" in overall length with the coils at either end tapered smaller. Most early sears were replaced with the later sears at some point.